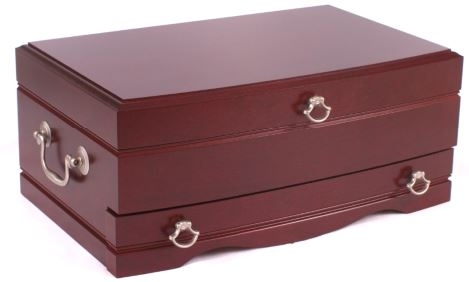 Smell the cherry in this lovely large jewelry chest, made in the USA of solid cherry. Side handles & hanger style pulls in brushed nickel. Two swinging necklace bars, ring rolls, 4 pillows, and earring dividers make up the top area. 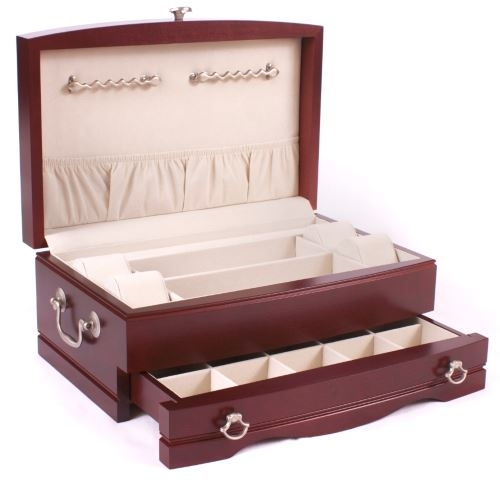 Drawer has 18 divided compartments for rings, earings, bracelets, and necklaces.